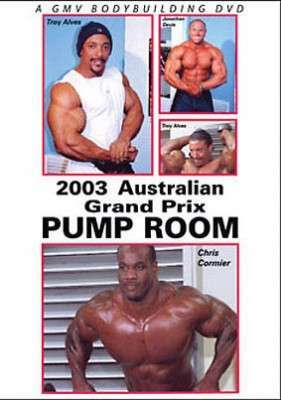 GMV’s 2 cameras were in the thick of the action during the Pump Room at the Australia Grand Prix. We also followed the athletes to the post-contest barbeque held at promoter Tony Doherty’s Gym. We were able to talk to all the guys after the stress of the contest, in particular to Chris Cormier, new-kid-on-the-block Troy Alves, and very excited Aussie Pro Jonathan Davie.